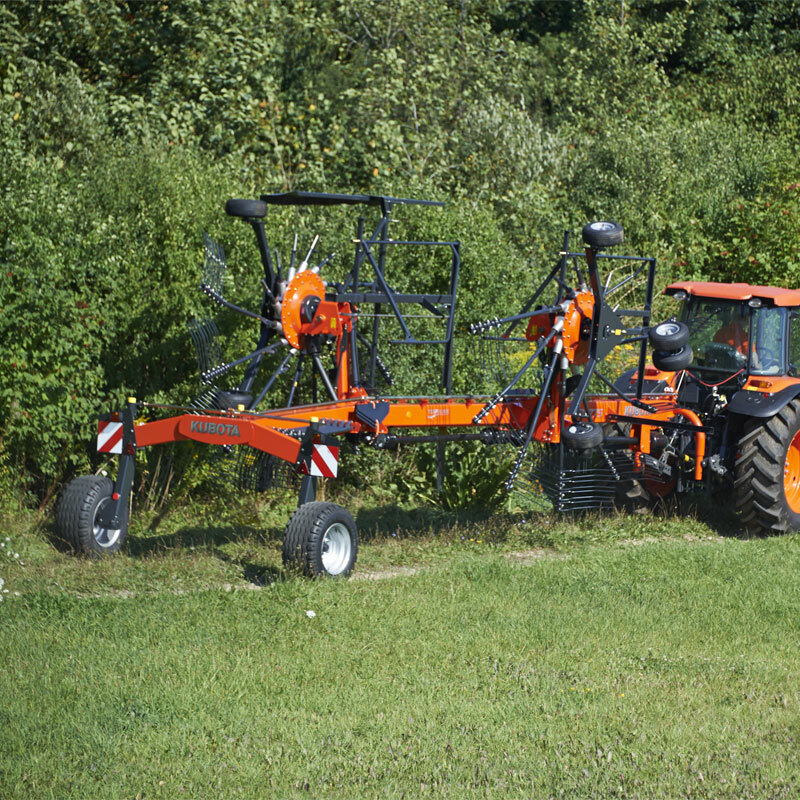 Kubota RA2577 side delivery rake with carrier frame and 7.7m working width. 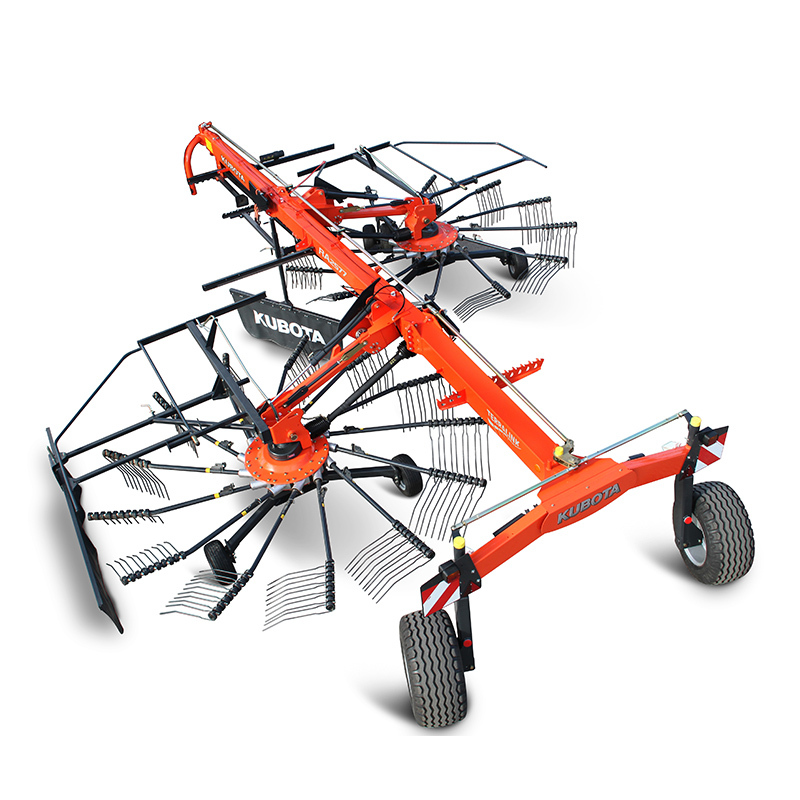 The RA2577 side delivery rake with controlled steering facility is fitted with 12/13 double tangential tine arms. Adjustable cam tracks permit the best possible swath formation at any time. 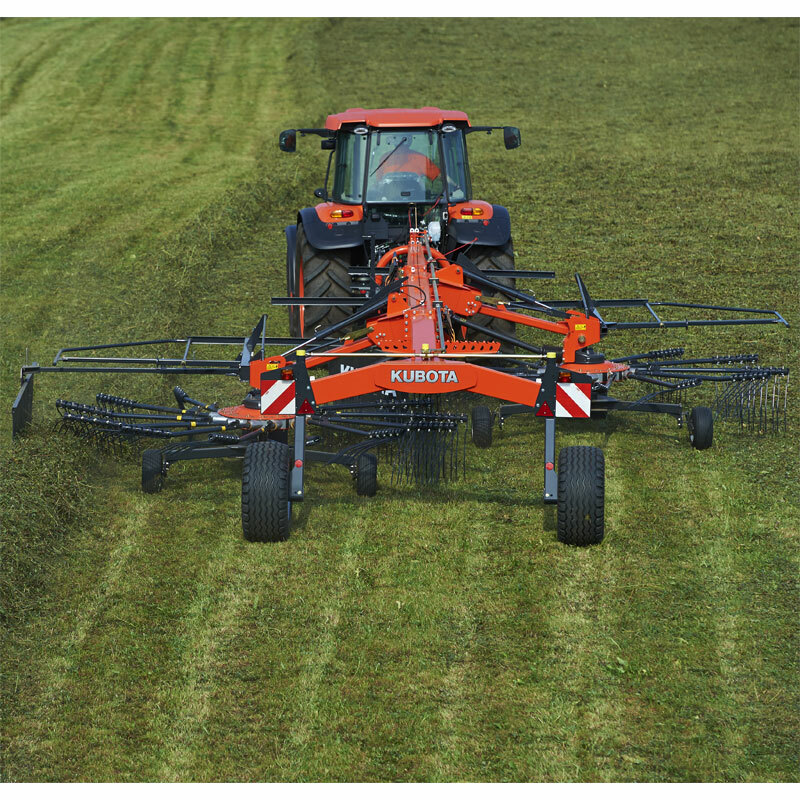 Exceptional manoeuvrability and a generous amount of ground clearance with lifted rotors contribute to the superb performance of this rake. The ‘TerraLink’ ground following system is standard on RA2577. The active steering device on the main frame and the 80º pivoting headstock ensuring excellent manoeuvrability.